These were questions posed by the new Google Glass chief Ivy Ross in an open Google Plus letter this past week. She however failed to answer them in the same breath, simply remarking that “no one has really tried to answer them with a product like this before.” There are good reasons for this. I’ll give credit where it’s due. Google is a company built on sighting market opportunities long before they exist. It is the most valuable brand on the planet, according to a new report. 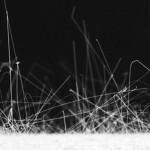 It revolutionised how the internet’s information is indexed, transforming the company into the superpower it is today. It did this again when it acquired YouTube and developed Gmail into the quintessential online email client. 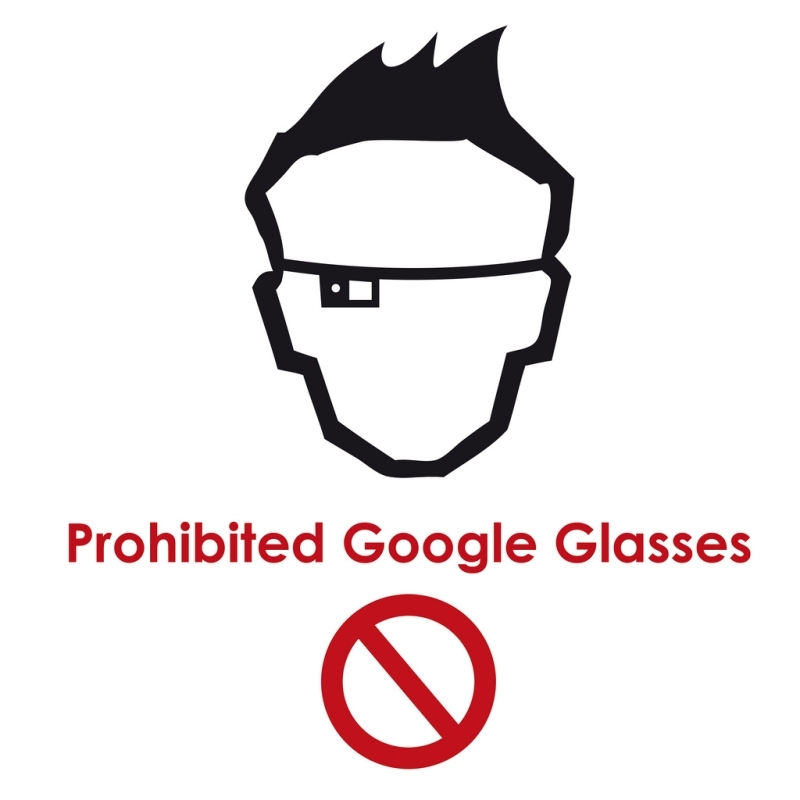 But lately, Google has misplaced its strike-it-lucky looking glass. Take the slow burning Google Plus for instance. 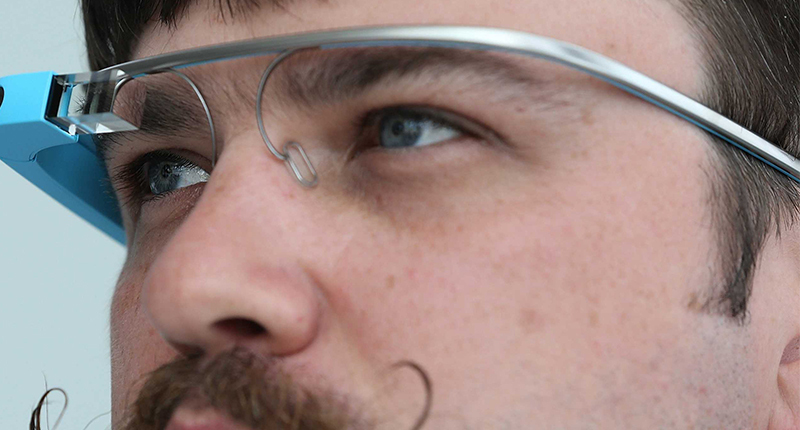 In a few months time, we may need to add Google Glass to its growing list of failures. Augmented reality wearables allow many to fulfill their dream of playing a real life Tony Stark, sans armour. Ivy Ross, with more experience in textiles than technology, is tasked with transforming the geeky, Eye of Sauron-esque perception of Glass into a must-have accessory with iPhone-level desirability. This implication is starkly multiplied by the departure of former hardware engineering manager Adrien Wong to Google’s rival, Facebook’s Oculus. But surely a face-based wearable developed by Google (not Calvin Klein) shouldn’t place fashion over function? A recent report from IHS’ dissection of the Glass suggested that its guts cost a mere US$152 per unit, yet the company charges nearly ten times that to overeager beta testers. Currently, that hard-parted US$1 500 gives these “Explorers” 12GB usable storage coupled with Google Cloud sync, HD video recording from a 5MP sensor, a bone-conducting transducer audio headset, a LCOS screen resolution of 640×360, dated 802.11 b/g WiFi and Bluetooth. The Glass can communicate with an iOS or Android device via the respective app, reporting messages, phone calls and calendar data to the user’s face. Google gives no word on computing power, RAM or battery duration but claims users will get “one full day of typical use,” if video recording is not top of the agenda. When comparing it to the specifications of the world’s first commercial smart glasses, Vuzix’s M100, the Glass looks strangely ordinary. The M100 features 4GB storage with 32GB SD card support, a WQVGA screen, an ambient light sensor, gyro and proximity sensor, GPS, a 6-hour “display-off” battery life with added external battery juice, 5MP camera with 1080p recording, 802.11b/g/n WiFi and Bluetooth. It’s powered by a 1.2GHz Texas Instruments system-on-chip. Based on the device’s appearance, it’s clearly a case of practicality over prettiness. It’s also US$500 cheaper and production-ready. If not for the average internals or the ridiculous price, those who don’t wear prescription glasses or sunglasses indoors will be hard pressed to find any reason to drop US$1 500 on Glass. For the ordinary person on the street, there is nothing it offers at that price that a smartphone doesn’t. Why use Glass as an extension of your smartphone when it costs more than your smartphone? Of course, any product’s success is hinged on its respective target market reception, profitability and mass appeal. In professional applications, the Glass is successfully used in surgery, law enforcement, military training, broadcasting and sport. By 2019, ABI research suggests that the enterprise wearable market will balloon to US$18 billion. How much of this smart glasses will grab is anybody’s guess; Vuzix already has a sizeable chunk of it. Samsung and Sony are two more companies planning to launch its Glass competitors in the near future, with Samsung already boasting patents. The Korean company’s more traditional take on smart glasses feature a heads-up-display type readout with a novel yet gimmicky virtual hand keyboard. New patents filed by Google reveals that it’s looking to follow suit, implementing Glass technology into a traditional sunglass-like form factor. As for full-blown VR units, Oculus and Epson currently forge the way, with the Rift and Moverio respectively, but they aren’t meant for everyday, practical use. Epson’s example is rather bulky, pictured below. But do any of these boast any level of mass appeal, in terms of everyday use for the average person? Netbooks and Bluetooth headsets seemed successful, but when last have you seen either? Outside the workplace, where is it wearable? 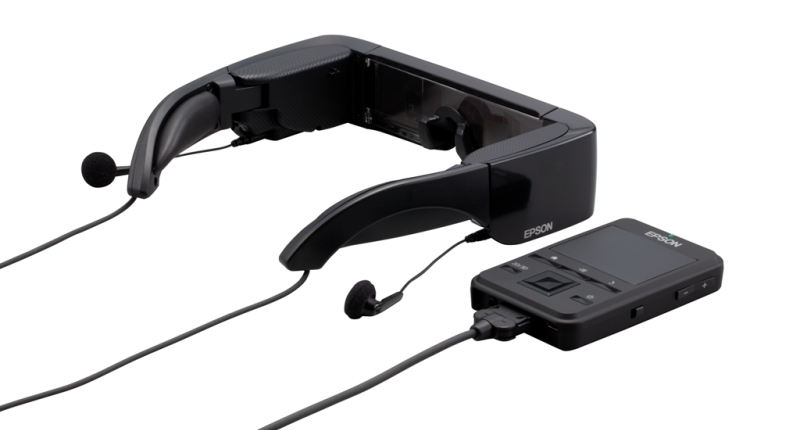 Vuzix already beat Google to face-mounted computing by launching its M100. The company states that it’s mainly for use within the workplace, and judging by the company’s financial figures, it’s a popular device there too. According to the report, the M100 contributed to nearly half of Vuzix’s sales revenue. Beyond office cubicles, where can one wear the M100 or Glass? The latter is still seen as an invasive leech, an ever-present all-seeing eye infiltrating the private lives of everyone it passes. Although this is a half truth — Glass’s camera is only activated upon user request — the device remains hated. The Slocum bar incident in San Francisco a few weeks back is a prime example of the backlash many will face while wearing the device. Beyond San Francisco, people will perceive Glass as a status-enhancing item of privilege, much like the way driving a Rolls Royce drop top is considered lavish, over-the-top and largely unnecessary. At least when driving your hotel on wheels, the experience is unaided by obnoxious face-mounted contraptions. So that rules out the bar. You wouldn’t wear Glass while walking home from said bar at 2am either. It might be outlawed on the road too. 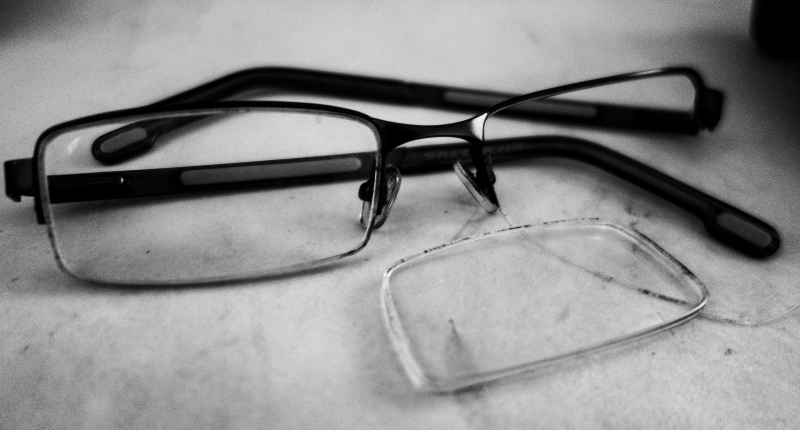 It can’t be worn for too long sighting eye fatigue and headaches. Nor can one wear it on the street or any public place for fear of unlocking glasshole status. So if Glass is meant to enrich its users’ experience of the world, where can one realistically wear it without committing a faux pas or ruining your eyes? It’s issues like these which turn Glass into a moment-specific contraption, not an everyday companion. Life digitally augmented is one realistically removed. Dates could get extremely awkward. Ultimately, this brings us back to Ross’s questions. Life through Glass may never keep us in the moment because every moment wearing Glass will be filtered and moderated by Glass. It’s a case of augmented reality tainting experience. It’s why Ross’s questions are both incredibly intriguing yet so very puzzling. Technology should enrich our lives without completely removing us from them, but is this too idealistic? VR headsets deliberately defeat this, plunging users into a meta-reality. Smartphones lock our faces to the screen, our hands to the buttons and our listening holes to the earbuds. Glass won’t be doing anything differently. I won’t be buying Glass. Perhaps my perception of the device is how my parents saw their first PC — some strange mythical beast that should be frowned upon as an unneeded piece of tech. Once they saw its potential though, their perceptions changed. Perhaps mine will as well once smart wearables become useful, but it will take some getting used to, and a much better product from Google. Ivy Ross’s questions is a thought every technology company should ponder, but breakthrough queries deserve their equally revolutionary answers. 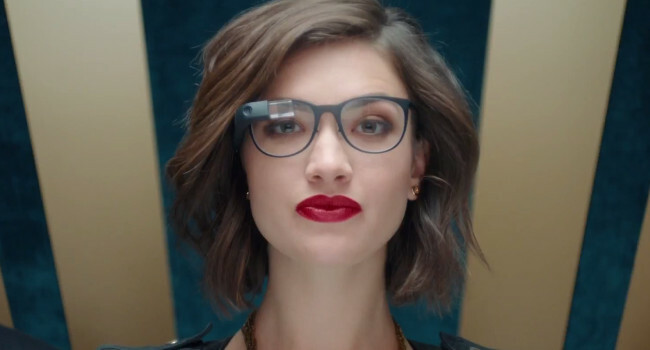 The cumbersome, poorly executed, overpriced, over-hyped, marketing nightmare that is Google Glass, is not that answer. Not just yet, in any case. Perhaps in the future, when smartphones are eventually rendered redundant, smart glasses and wearables may go from supporting them to consuming them entirely. But for now, there’s no way wearables can completely replace the processing power, battery life or practicality of a smartphone for the general public. We may never find technology that keeps us in the moment without removing us from it, definitely not with something constantly hanging over your face. 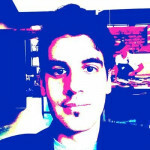 In terms of solving these issues, Glass will be a failure. In terms of sales, Glass won’t be a device people will desire with jade-tinged envy. Strangely, while trying to seek the answer to their quandary, Google has unintentionally made the problem even greater.